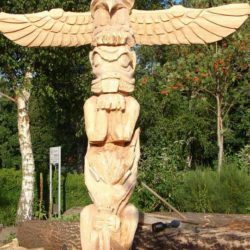 Natuurlijk mogen wij geen totempalen maken , maar na twee maal in Alaska geweest te zijn (onder andere bij de Athabascan indianen) geweest, heb ik veel geleerd over het maken van totempalen. 9 meter hoog geschilderd gemaakt voor een pretpark Mega klus! 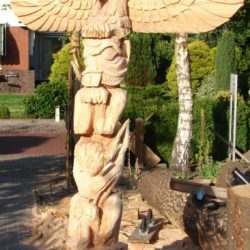 Totem poles are sculptures carved from large trees, such as the Western Red Cedar. 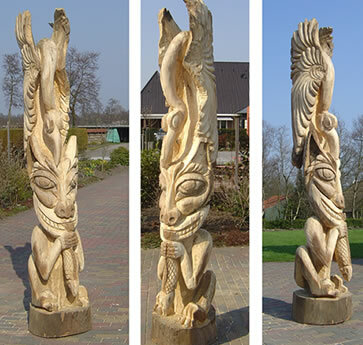 In North America, totem poles are part of the cultures of many indigenous peoples of Alaska, British Columbia and the Pacific Northwest. 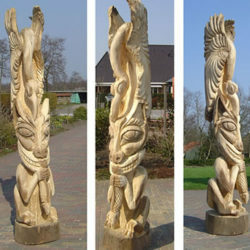 Totem poles serve many purposes beyond their beauty, and their meanings are as varied as the cultures that make them. 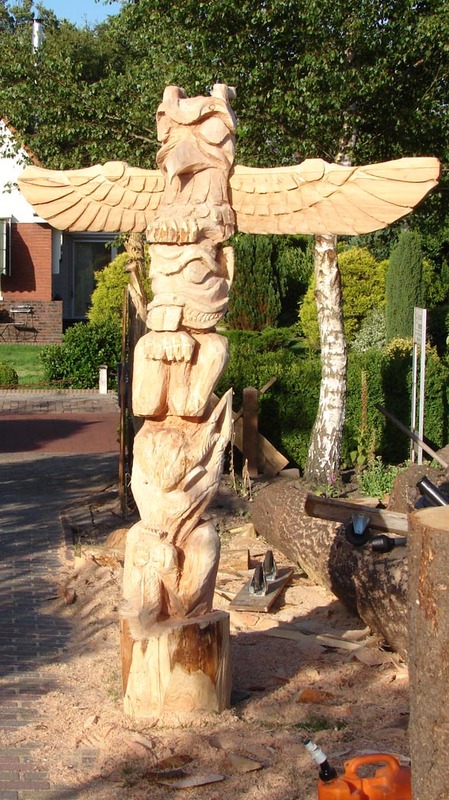 Some totem poles represent stories or important events. 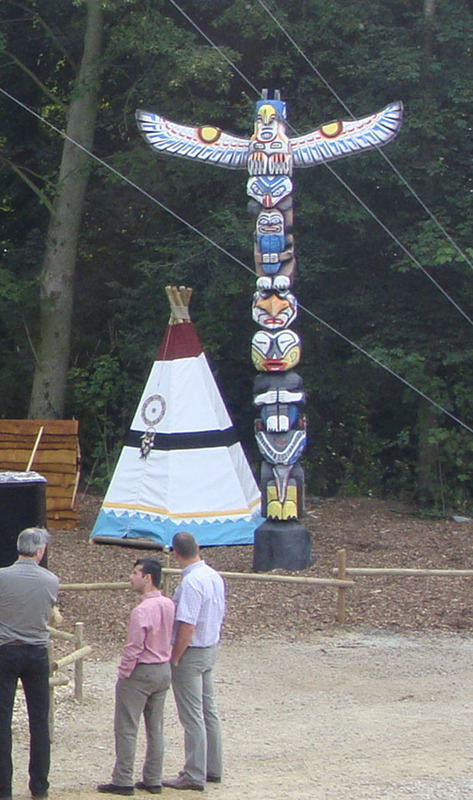 On these poles, each figure on the totem represents part of a story. 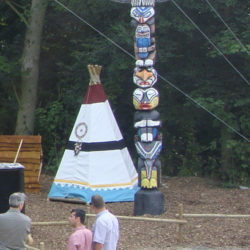 These totems are used as a way to record the history and legends of the tribes. 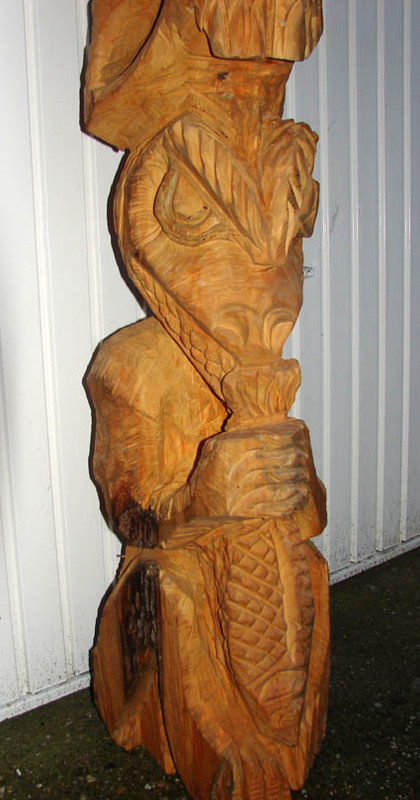 Figures on a totem pole are not gods to be worshipped. Instead, they represent traits and characteristics each clan or story embodies. 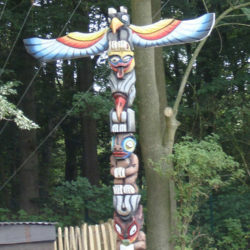 There are many other types of totem poles. Genealogy poles are erected in front of a family’s home to represent the owner’s clan or social status. Memorial poles are carved in honor of a deceased clan member. Mortuary poles are also raised in honor of the dead and include a small compartment for the ashes of the deceased. 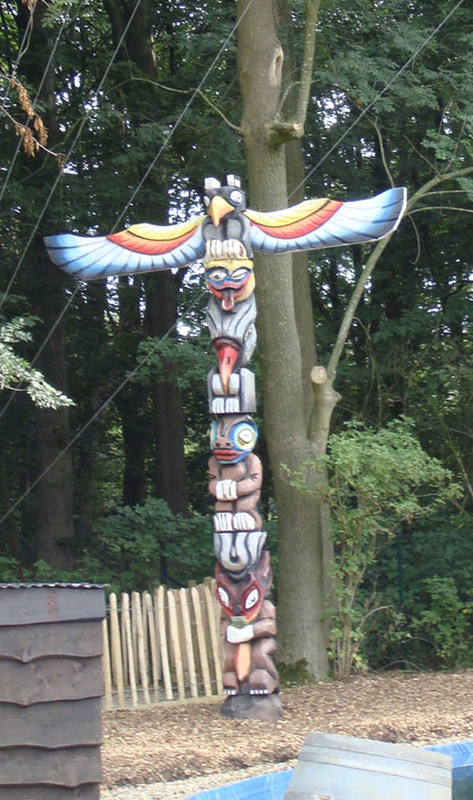 Another interesting type of totem pole is the shame pole. 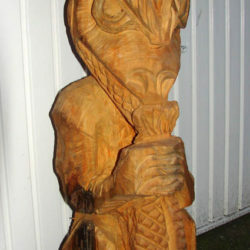 Shame poles are carved to embarrass and ridicule someone who has done something wrong. Shame poles are taken down once the person has made amends. A famous shame pole erected in Cordova, Alaska, included the face of an oil company businessman. It is said to represent the unpaid debt the oil company owes for damages caused by the oil spill in Valdez, Alaska. Colors used to paint totem poles were limited. Artists relied on natural pigments. Black was the most common, made by grinding soot, graphite or charcoal. Red came from red ochre, a clay-like material. Blue-green was made from copper sulfide. 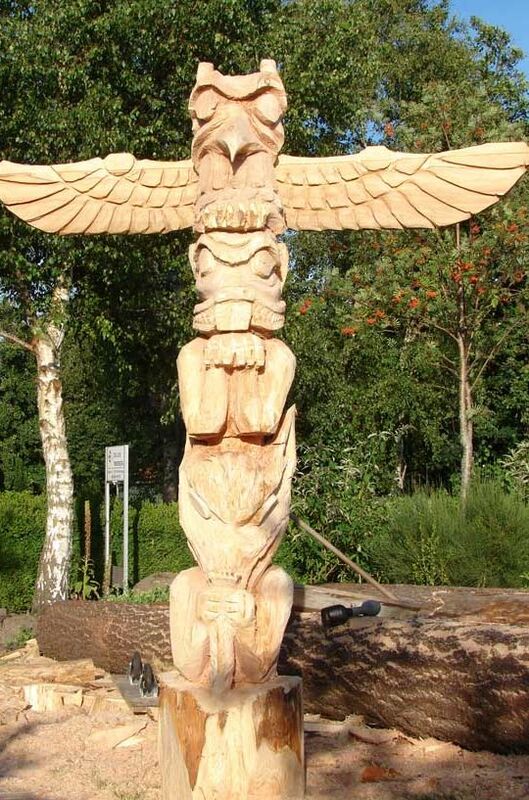 Common figures found on totem poles include the raven (a symbol of The Creator), the eagle (representing peace and friendship), the killer whale (a symbol of strength), the thunderbird, the beaver, the bear, the wolf and the frog.